They say the college year is the best time to travel. Far enough. But how far can you get on a student budget? After you take the loans, rents, and daily expenses out of your monthly stipend, you will be lucky to make it downtown on weekends. But it doesn’t have to be that way. 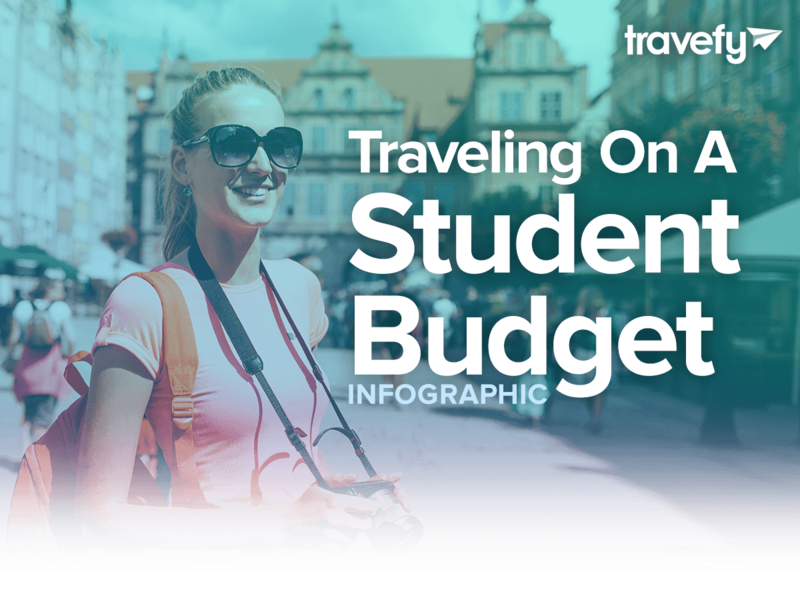 You can travel the world on a meager student budget for little that you know how to plan it right. This infographic walks you through every steps of the planning process, with the best resources to use along the way. Happy travels! Travel research can be a lengthy and broad step. It involves everything from planning the trip itinerary to travel warnings and advisories. It should start with finding the best places to visit. Some world destinations are more welcoming for backpackers and students. For instance, check out the cheapest -yet beautiful- cities to visit on a budget. Every budget traveler must keep track of prices changes. Yes, prices change according to the season, the venue, or how early you book. A good idea is to subscribe to travel sites. Airfare Watchdog or Yapta will track airfares for you. The latter will even alert you when you are eligible for airline refunds. That means more money in your pocket to add to your student travel budget. You’re welcome! Student ID cards and .edu email accounts offer more perks than you think or you use. discounts in shops, movies, and museums. It also can lend you incredible travel discounts on transportation and lodging fares. Keep reading, more on that below. For international travels, you should get the international student identification card. The ISIC grants access to hostels, restaurants, and other city hot spots worldwide. You will be happy to have one when you tour Europe on a student travel budget. It is no longer a secret: group travel means travel deals. Airlines, hotels, and other travel sites offer discount for groups. Most come on the form of all-inclusive packages. The good thing is that they are planned-out trips with a clear price tag on them. The bad side is that they often don’t give you much freedom on the organization. You can solve that problem using Travefy. Collaborate with your friends on every step of your trip and make sure no one gets stuck with the bills. If all you want is to travel the world, seek out all-inclusive packages geared toward students. Most are destination-focused. All want to get you as far as possible even on your little student travel budget. STA Travel and StudentUniverse are the leading services in finding student deals worldwide. Take advantage of the best discounts for students on lodging, transportation, and leisure. All you need is a student ID and/or email account. 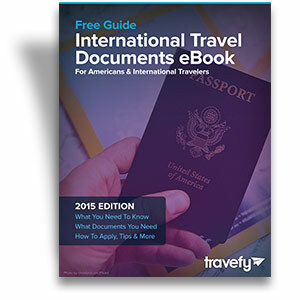 So you have figured out all your travel accommodations and build an awesome itinerary? Now you have to find a way to get there. Every travel deal seeker will tell you that flexibility is key. Changing your flight dates by just a day can make a wealth of difference. Google Flights is a great tool when it comes to comparing airfares per travel dates. You can quickly pinpoint the cheapest days to fly on their calendar views. That way, you can find the fare that aligns best with your… student travel budget. Plus, the service allows you to choose the site you prefer to book with; how cool is that! More on transportation options, know that flying is not always the most convenient. In fact, the traditional way to tour the Old Continent is by train. The Eurail pass is a railroad ticket that will take you almost anywhere in Europe. The rise of budget airlines like RyanAir and SouthWest might be changing that. In the US, Megabus and Boltbus are just two bus companies that will let you travel for as little as $1. Otherwise, Zipcar and other car rental services are also catering to students. Regardless of your standards and the depth of your pockets, you won’t lack of means of transportation. If you are traveling in a group, you should wonder what is best for you: a hotel or a home rental? Both have their perks and inconveniences. No doubt, there is a rise in popularity for a whole bunch of alternatives to the traditional hotel stay. HomeAway and Airbnb are just two of the most known. And they have options worldwide. If you are traveling alone, you might want to check out hostels and b-and-bs as the best alternatives. It is not easy to explore the world on a student travel. But with the right mindset, steps, and resources, you can go almost anywhere. This infographic is the perfect cheat sheet to remind you just that.